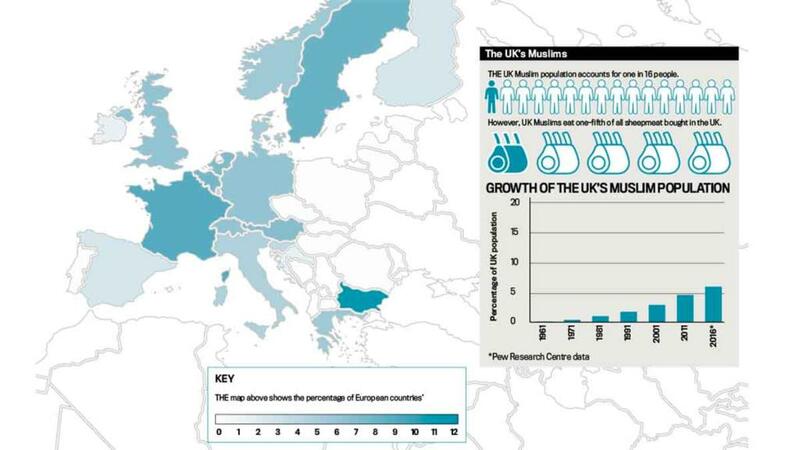 With a growing Muslim population in the UK, Islamic festivals present a huge opportunity for the farming industry. Alex Black reports. Marketing sheep at the right time and with the correct specifications was the key for farmers looking to take advantage of the growing Islamic market and its demand for sheepmeat. With the Eid al-Adha celebrations on the near horizon, Livestock Auctioneers Association executive secretary Chris Dodds, said he was expecting a strong demand for quality lambs, particularly ram lambs. “There will be a strong export market, with the main criteria for sheep being they meet the Qurbani specification,” he said. With most sheepmeat supplied to the Halal trade sourced from the auction mart system, the livestock auction industry will play an important role in developing this market. Also known as the festival of sacrifice, Qurbani marks the story of Abraham being willing to sacrifice his son for God. Traditionally, a goat, sheep or cow was slaughtered instead. Rizvan Khalid, director of Euro Quality Lambs, the largest Muslim-owned lamb slaughterhouse in Europe, said: “It is important to remember there are effectively two markets for the Eid al-Adha period. “One is the thanksgiving slaughter of Qurbani animals, following in the footsteps of Prophet Abraham, peace be upon him, which must meet certain criteria and be performed at a certain time. The other is regular Halal meat for the celebratory family meal,” said Mr Khalid. He added most Muslims performed Qurbani abroad, but each year was seeing more demand for this slaughter in Britain, particularly from younger Muslims wanting to show their children it was ‘not just money to send abroad’. While this was an opportunity, the festival moving back 10 or 11 days each year raised challenges, with lambs needing to be at least six months old when slaughtered. “It will not suit everyone,” he said. Lambs also needed to be ‘plump and healthy’ with no defects and ‘as natural as possible’. The charity element was crucial for Muslims and Mr Khalid said last year they distributed 11 tonnes of fresh lamb to food banks. There were also opportunities at other times of the year. Earlier in the year Muslims celebrated Eid ul-Fitr, which marks the end of Ramadan, a month of fasting during daylight hours, and is followed by a celebration. Demand increased around Easter and Christmas with people spending their time off work eating and celebrating with their families. Exports to Europe also opened opportunities, with different weights favoured by different European Muslim populations, dependant on their ethnic origin and the popularity of different dishes. France was Euro Quality Lamb’s number one market but there were also opportunities in Germany. But in France, their population was mainly of North African heritage with the German Muslim population mainly Turkish or Syrian refugees. There were also opportunities in Muslim and other, less expected countries. 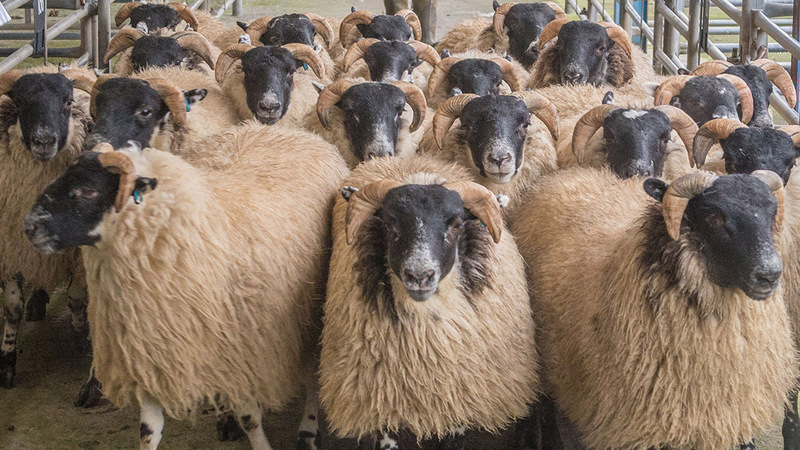 There were serious misconceptions about the nature of halal slaughter of sheep and AHDB halal sector manager Awal Fuseini said certain groups, such as Britain First, survived on spreading misinformation. While many believed halal animals were all slaughtered without stunning, 75-80 per cent of animals in the halal market were stunned. He said stunning was acceptable for some Muslims, as long as the animal was not brain dead so methods such as captive bolt stunning were not acceptable. He added most others would be more accepting where it could be proved stunning did not kill the animal. “The person should be a Muslim or a person of the book – a Christian or Jew. However, there is a requirement for a prayer to be said. In the name of God, God is great,” said Mr Fuseini. He added the knife should be sharp and the length should be twice the diameter of the neck. In sheep, the method without stunning means the animal takes eight seconds to die. For poultry, which would also expect to see a surge in demand throughout the festive period, Shradda Kaul, British Poultry Council public affairs and public relations manager, emphasised they had to follow the same welfare standards and legislation. Additionally, she was confident in the welfare standards as long as birds were stunned and it was carried out by a trained slaughterman. Cattle presented a bigger welfare issue but Awal Fuseini believed there was potential in this market if they could find an accepted method of stunning. “Cattle present more complicated welfare problems than sheep,” he said. Pules were also in demand, particularly over the earlier Eid al-Fitr celebration, with most of the beans produced in the UK for human consumption exported to predominantly Muslim countries. Franek Smith, president of the British Edible Pulses Association, said during fasting for Ramadan some Muslims will not even have a drink or lick a stamp. “They consume pulses in the evenings and the mornings as they keep people quite full for a long time,” said Mr Smith. And the UK was well placed to supply them, particularly countries where specifications could be very demanding, such as in Egypt. But there were also prospects in domestic markets. Josiah Meldrum, director of Hodmedod, which supplies British-grown pulses and grains, said this was an opportunity they had not explored fully enough. “There are communities which are potentially quite difficult to reach. Often they have their own supply chains and are used to doing their own import work,” he said. But where they did supply those communities, they were ‘delighted’ they could buy British as they had not realised the in demand pulses could be grown in the UK. For poultry, which would also expect to see a surge in demand throughout the festive period, the British Poultry Council (BPC). Public affairs and public relations manager Shradda Kaul emphasised all poultry raised for the halal market had to follow the same welfare standards and legislation as the whole industry and they were confident in the welfare practices as long as birds were stunned and it was carried out by a trained slaughterman. « Where are the B2B Halal e-commerce Platforms Now?